Are you facing skyrocketing utility bills in the Winter, and unsure what is causing it? Well, believe it or not – a Furnace Maintenance in Bellingham, Ferndale, Lynden, WA may be the solution. Over time, wear and tear compromises the performance of your furnace – however, a maintenance helps keep things running smoothly, and efficiently. The difference between a mediocre and a great HVAC contractor is their post-installation services. With over 5-decades of experience in the industry, we can help! Furnaces comprise of moving parts, continuous heating, and cooling. The heating comes while the machine is warming up your home. The cooling when the machine is off. Of course, this causes expansion and contraction – further worsening the wear and tear. Eventually, a component will slip loose or wear down. However, regular maintenance can help you ensure that your unit is working efficiently, and without risk for years to come. Another advantage of Furnace Maintenance in Bellingham, Ferndale, Lynden, WA is the fact that our technicians can remove any manifesting problems before they become costly. Don’t believe our boasts? Check out our track-record! It proves the quality of excellence we provide each and every customer. Furnace making more noise than usual. Furnace blower not turning on. 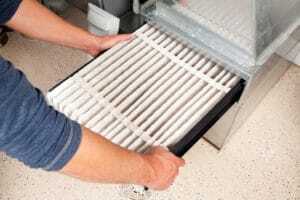 Poor quality air throughout your home. Most furnaces are used during winter when the house or commercial buildings are cold. Truth be told, almost no one ever thinks about the heating systems during spring and sometimes summer and autumn. That is why the perfect time to schedule a maintenance is just before Winter hits. That way your system will be working as new when it’s needed to be used frequently. If you need Furnace Maintenance in Bellingham, Ferndale, Lynden, WA and its surrounding areas feel free to reach out to our technicians through any of our channels on our contact page. Feel free to also interact with us on our Facebook page. Also, check out what other clients say about us on our Testimonial page.